Around a decade ago, all athletic apparel was made from a blend of cotton and synthetic fabric. The uniforms and training gear all used the same fabric and there was no difference between sports. Modern fabrics have come a long way and now come with multiple properties that assist in the athletes comfort and performance. The biggest leap in fabric technology is the introduction of “wicking” fabric. The term “wicking” comes from the way a wick on the candle pulls the wax up to the flame. 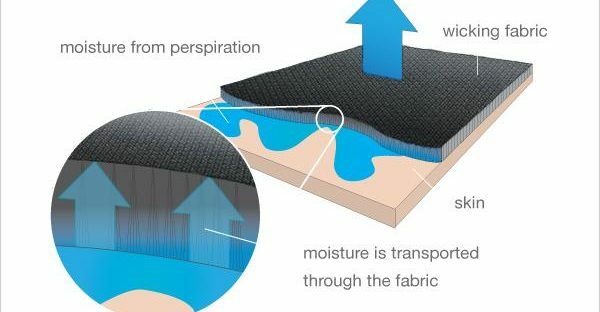 In much the same way, fabric that “wicks away the sweat” are essentially transporting the sweat through the fabric to the uppermost layer of the material. Most wicking shirts are a blend of polyester. 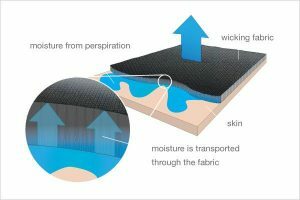 The fabric is woven is such a way that the moisture is forced through the gaps in the fabric until it reaches the outer layer. Once the moisture finds the outer layer of the material, the moisture can evaporate from the wind or air movement. The weave makes the fabric a lot more permeable so the wearer feels a lot cooler than regular clothing. The advance in technology comes with a steep price tag, with clothing made from wicking fabric a lot more expensive than regular options. However, there is no need to worry about choosing one over the other. Generally all wicking fabrics work in much the same way. Written by Soccer Garage. Get everything you need from the largest collection of soccer gear online, covering everything from uniforms to soccer referee equipment.